I’ve got a fun little project to share with you today! 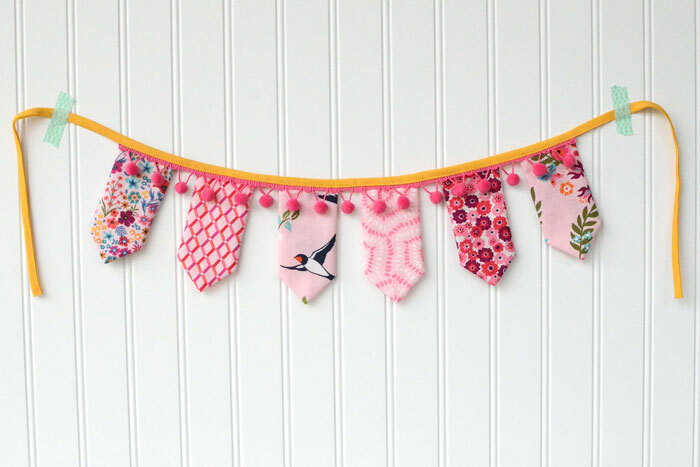 This mini bunting banner is a fun way to decorate for a holiday or celebrate a special day. 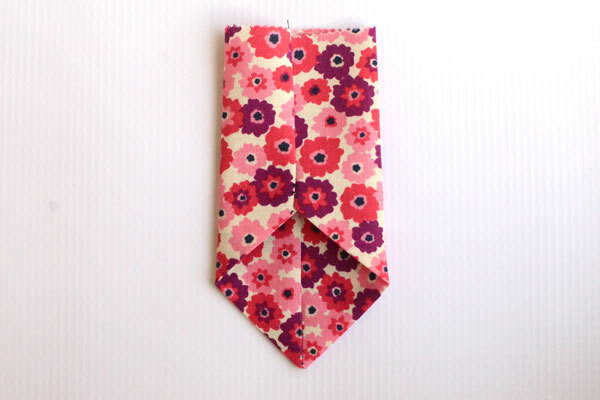 Or just hang one up because it’s cute and brightens a space. The little fabric flags are so colorful and festive! Each flag is made from a single charm square. 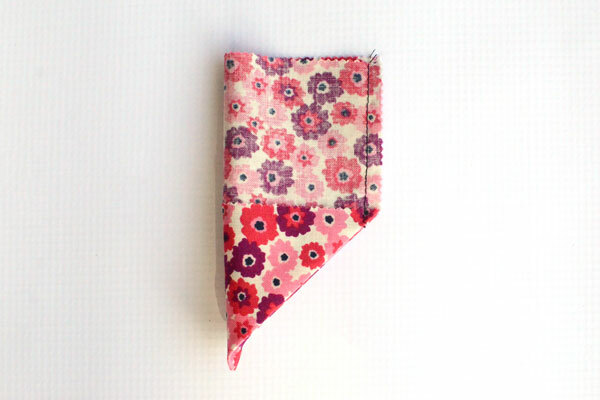 It takes just 2 seams to go from a square to the little flag – with no raw edges! Plus, if you use a charm square pack your flags for your bunting banner can all be different prints but perfectly coordinated! I love it when things work out like that. 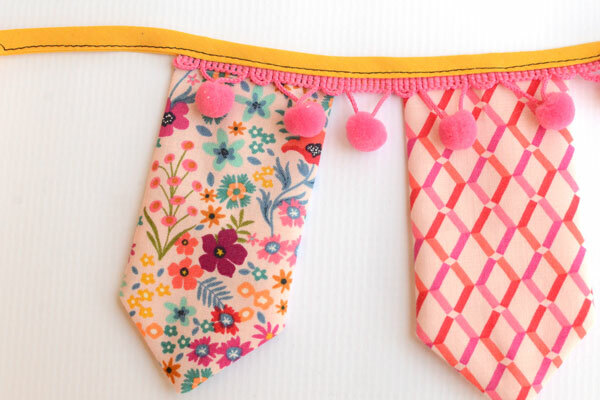 The mini bunting flags are approximately 2 ¼” wide x 4 ½” tall each. Petite, but not too small that you can’t embellish them up if you like. Use Heat Transfer Vinyl to add letters if you want your banner spell something out. 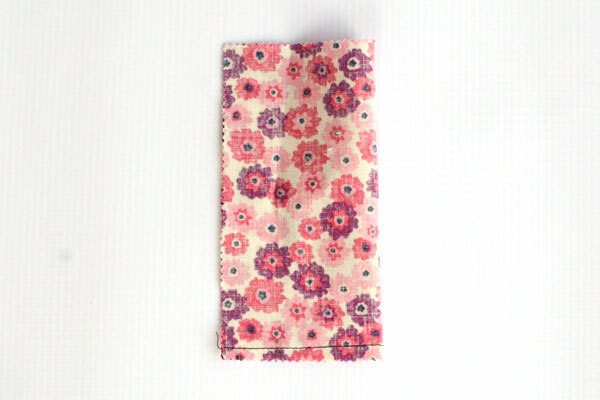 I just left mine plain and let the cute fabrics do all the work. Bias tape makes it easy to sew the flags into a banner. 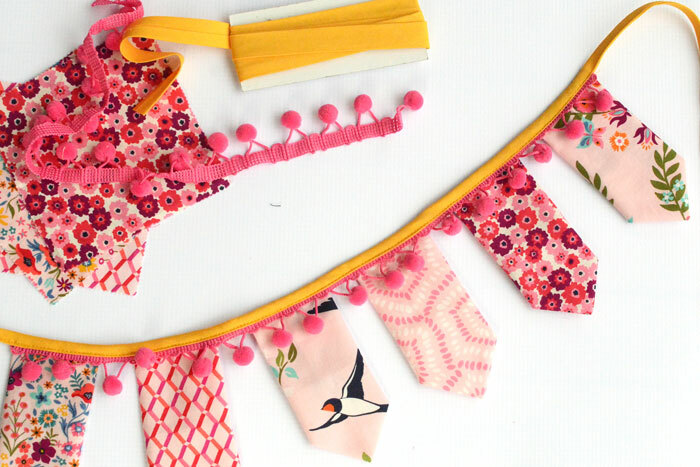 I added some pom pom trim while I was at it – because pom poms make everything cuter. Scientific fact, y’all. They’re optional though, so if pom poms aren’t your thing you can just leave them off. I like the smaller size but you can make them larger by just using larger squares. If my math is correct, a 10” square would make one that is roughly 4.75” wide by 9.5” tall. 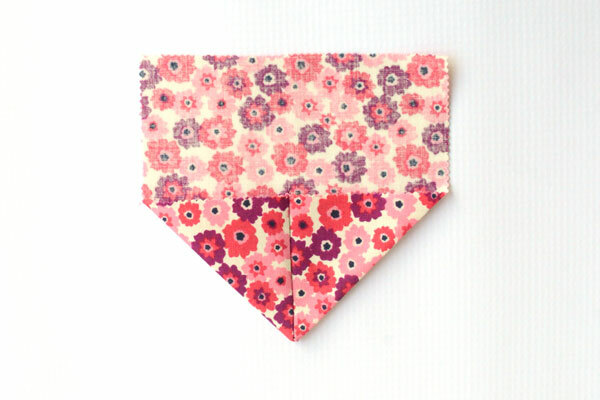 Fold charm square in half, RST. 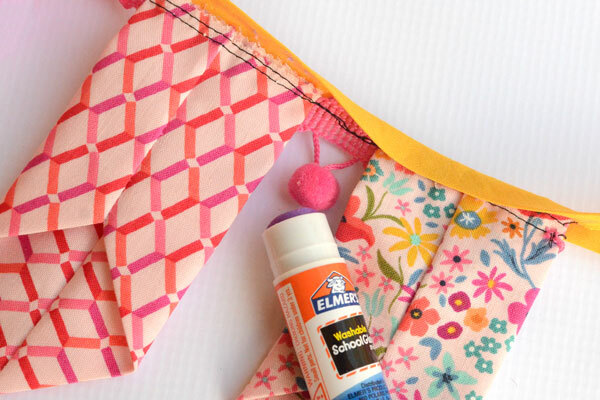 Sew across the bottom with ¼” seam allowance. Open it up and flatten it out to create a pointed bottom. Press with an iron. Fold in half RST. 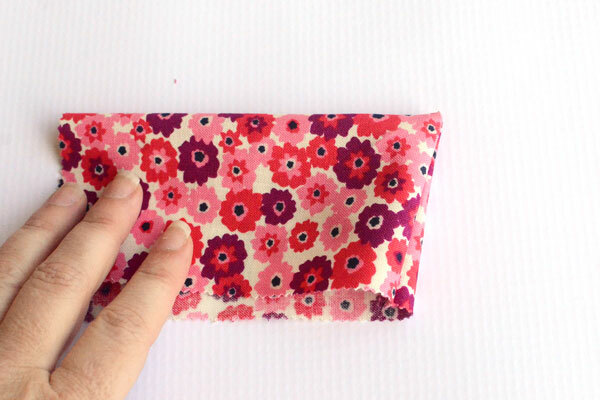 Sew down the side with a ¼” seam allowance. Turn right side out, rotating so seams are aligned. Press with an iron. 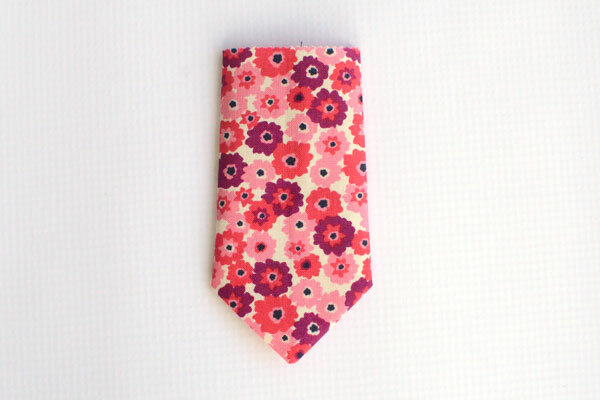 It looks kind of like the bottom of a neck tie. Turn it over – your flag is done! 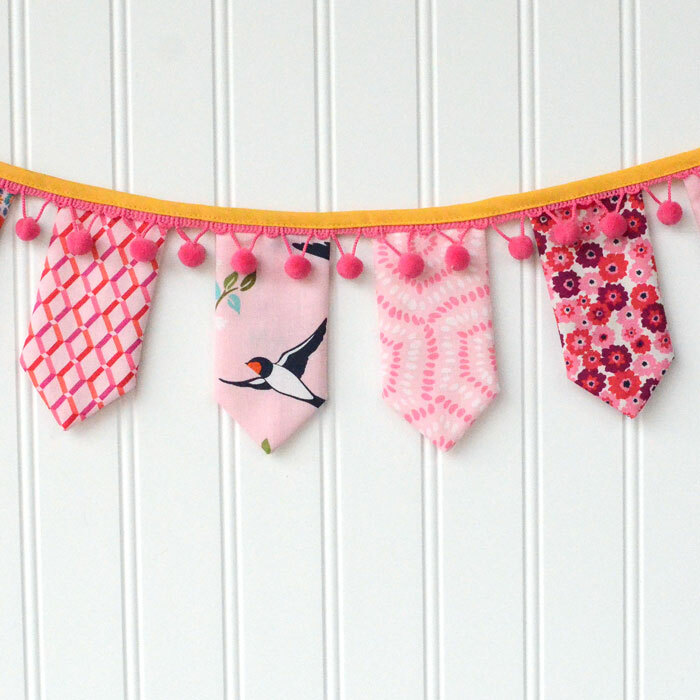 When you’ve made all the flags, you can sew them into a bunting banner. 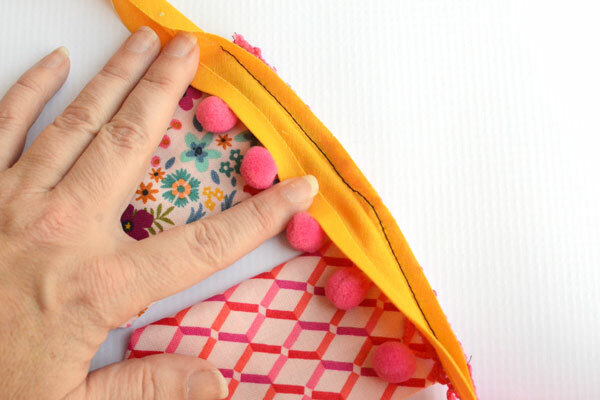 Baste the pom pom trim across the top of the flags with a scant ¼” seam allowance. I spaced the flags so there was a single pom pom between flags. 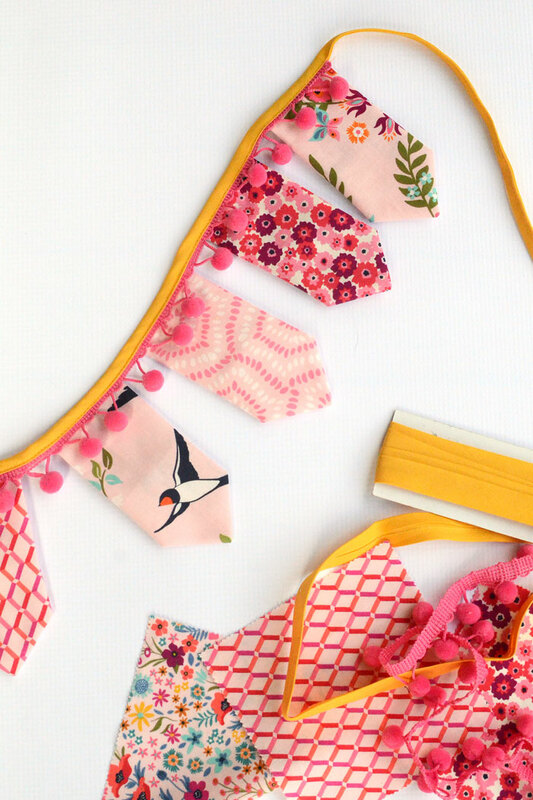 Open out the bias tape and baste to the top of the bunting banner, raw edges touching, with your stitch line in the crease in the tape. (You can see here my stitching is not super straight. That’s fine, as long as your stitch line doesn’t cross over that crease.) Leave an 8-10” tail of bias tape before and after basting on the flags so you’ll have the ties you need to hang it up. Fold the bias tape back along the crease lines, with the bias tape wrapping over the top of the flags and pom pom trim. Pin or glue in place, making sure that the bias tape extends just past the basting stitch line on the back. I prefer to use a glue stick to make sure nothing shifts while I’m stitching. If you use glue, go over it with an iron to make sure the glue is good and dry. Flip your banner over to the front. Stitch the bias tape again, close to the bottom edge. 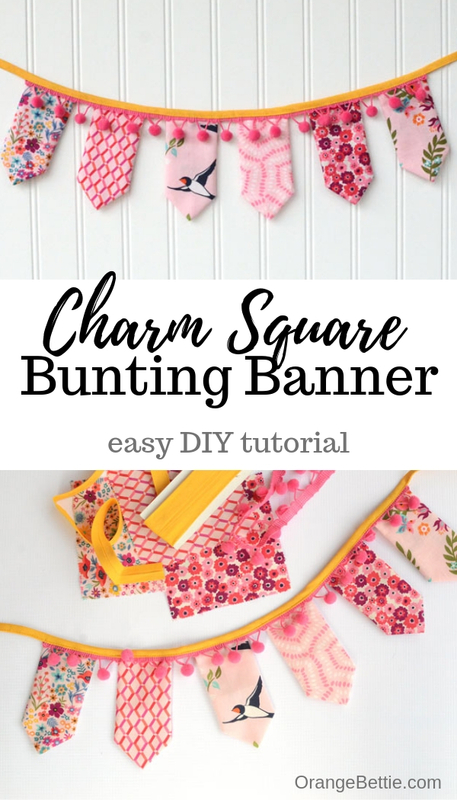 Your bunting banner is finished! 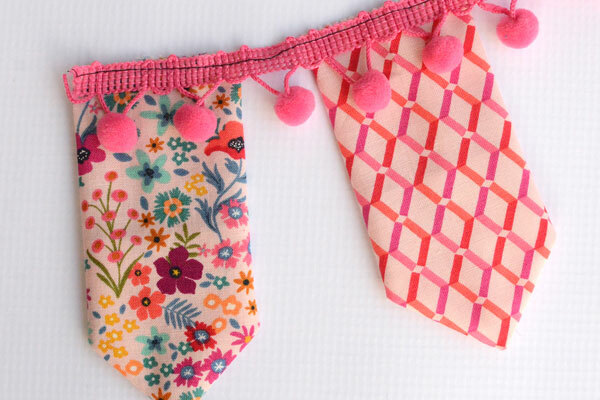 Go find some place that needs cute-ifying and hang it up! !